We just gathered to share our resolutions for 2011 plus our accomplishments and sorrows in 2010. 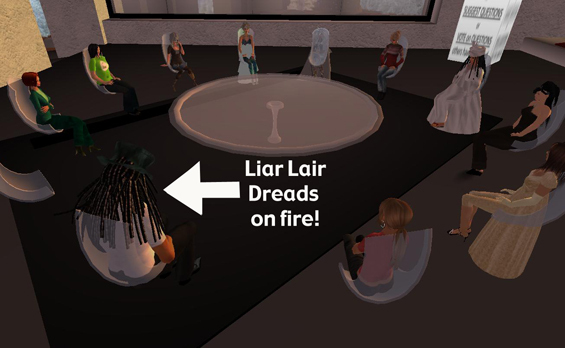 "I'm going to be less harsh to Linden Lab as I move on and do a lot more at Jokaydia Grid. Time to move on and all that." Someone wave the "BS" flag, please. Well, I'll try to be less harsh, since I'll be in SL a lot less. How's THAT for a New Year's Resolution! Happy Solstice to all. A new year is just around the corner.